The new "Doctor Who" started in 2005 (We don't cover the old series yet). It has been a smash hit ever since, and the show is just great fun. In the U.S., it airs on BBC America and sometimes on Syfy. Doctor Who is a Time Lord, the last of his race. He is able to travel through time and space, and he often helps or saves people. He has had many traveling companions through the years. When The Doctor, as he is known, dies, he can regenerate, so he comes back looking very different. 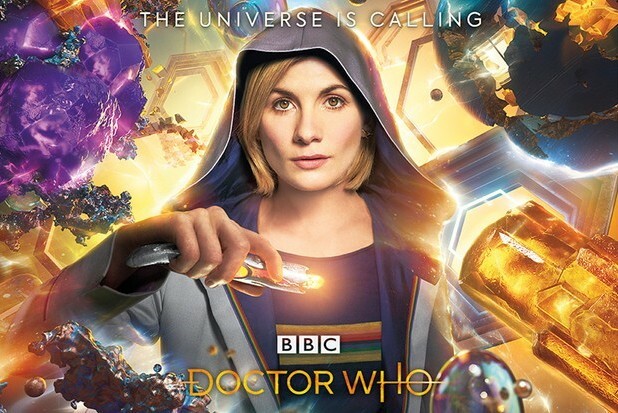 In 2018, The Doctor returned as a woman. It's very good science fiction, fantasy, drama, and just plain fun! NEW! Articles Page. Check out our Doctor Who Spoilers Page and Doctor Who Appearances Page! 10/28 "Arachnids in the UK"
11/1 "Demons of the Punjab"